Move from the detail window to the Section list. Access the calculator if the cursor is in an amount field. Insert the last number displayed in the calculator into the current input field. Move from the detail window to the Screen list. Open the Calculator if the cursor is in an amount field. Type a client number, name, SSN, or status: Scroll the client list as you type (depending on the current category). The current search characters display in the Status bar at the bottom of the screen, in the Search box. 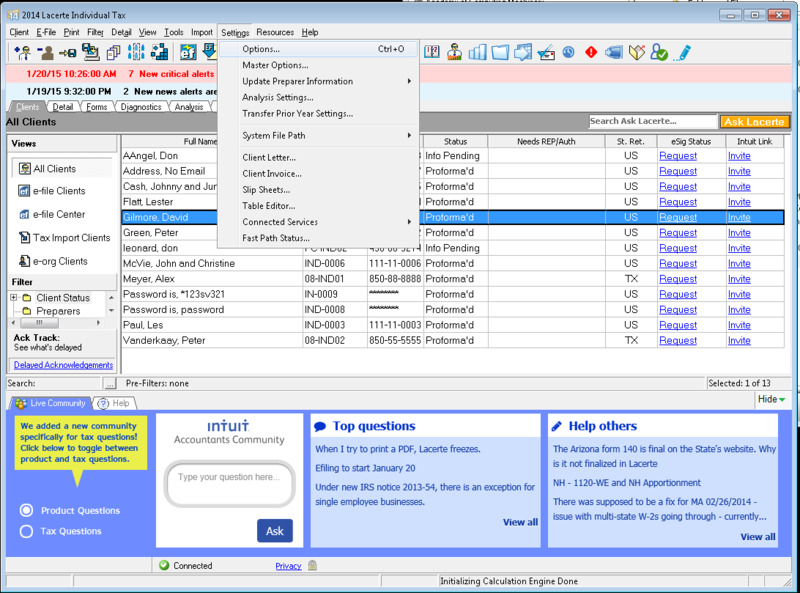 Lacerte is a task management software developed by Intuit. What is your favorite Lacerte hotkey? Do you have any useful tips for program? Let other users know below.